Here you will find silence and intimacy but also conviviality with a “social” breakfast around a table where you can rediscover the taste of knowing each other. You can participate in yoga classes on the beach at sunset or get involved in a slow bike tour to discover the area of the high lake. 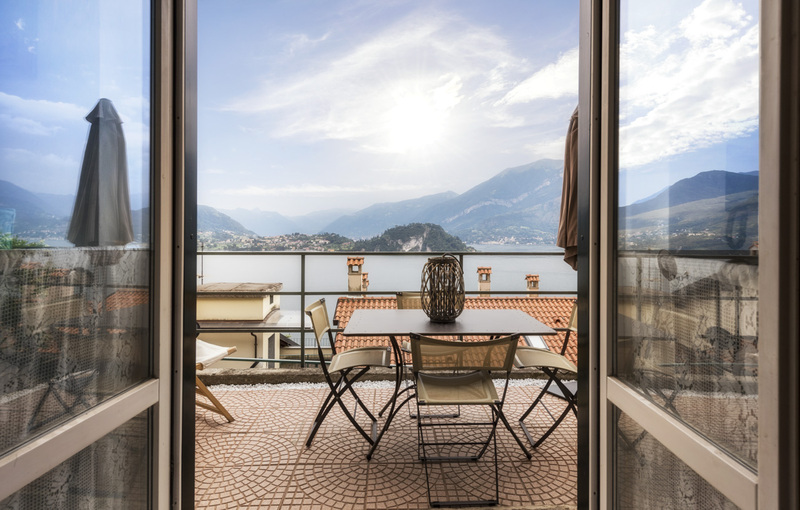 This and much more is living Lake Como with us. Hospitality, relax, sport and nature! You always ask us: but who is the poet? The poet was the last owner of the house: a wood craftsman but also a dialect poet and in his memory we chose this name for the b & b. The house, which is over 200 years old, is on three levels and has been completely renovated preserving the original structure. We have 4 rooms, all independent and with private bathroom. Each room has a name chosen from the elements of nature: Air, Water, Earth and Fire. From the entrance you get the rooms through stairs with steps of river stone left as they were originally. On the ground floor there is the “Fire” room. The “Earth” room is located on the first floor. The other two rooms are on the second floor with access via stairs: “Water” and “Air”. The living room for breakfast is located on the first floor. Our breakfast is a moment to know each other: we are all together around the table and between a cappuccino and a slice of cake we talk about the lake and what you can visit. Fresh bread every morning, savory breakfast, local products and special breakfasts on request, vegetarian and vegan, are available for all guests.